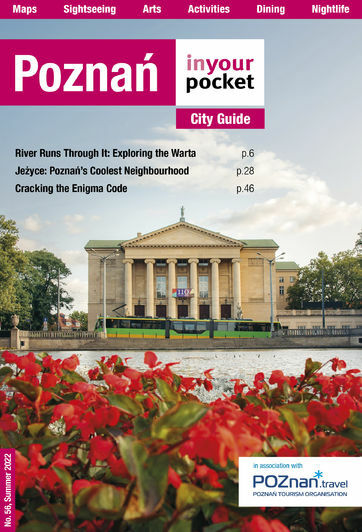 Though much of their cuisine is shared with Poland as a whole, Poznań and the wider Wielkopolska do have some of the most distinctive regional dishes in the country. Here’s a rundown of popular fare that you can get your hands on even when all the local grannies are busy cooking for someone else. 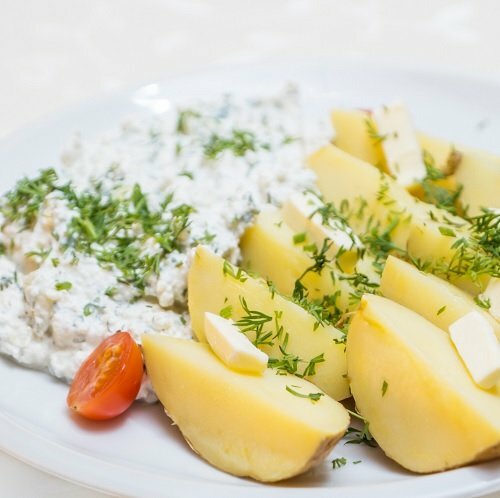 Nearly ubiquitous as a starter in Poznań’s Polish restaurants, gzik is made of quark cheese mixed with cream and chives or radish. Served together with jacket potatoes, this 19th century peasant dish is known as ‘pyra z gzikiem’ in local parlance. 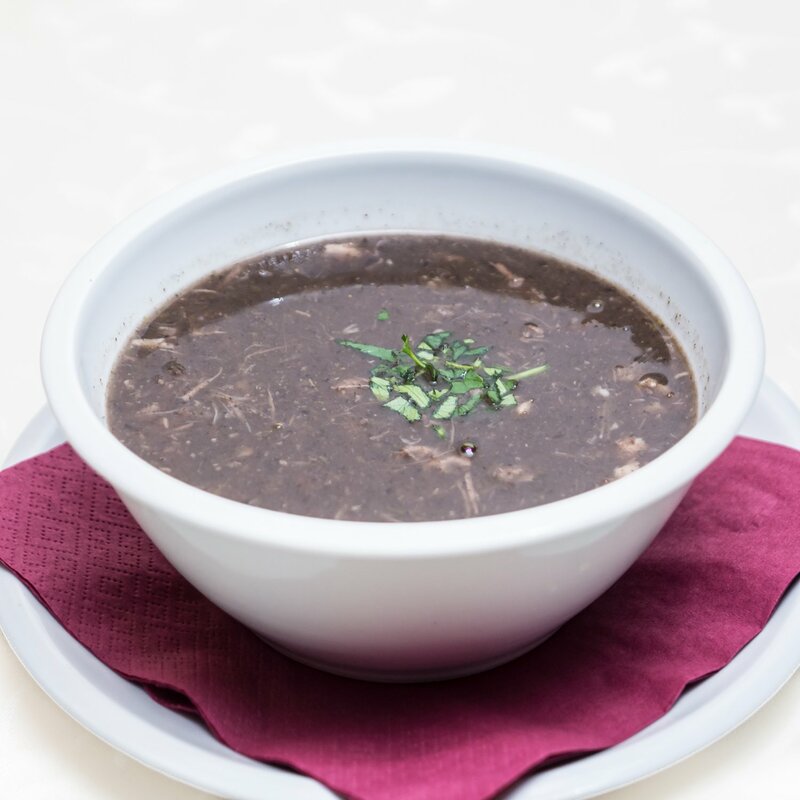 Try it here: most Polish restaurants, including Wiejskie Jadło, Chłopskie Jadło, Oberża Pod Dzwonkiem, Bamberka, Rafineria Smaku, and Hyćka. Whereas in most corners of Poland, until fairly recently, Peking duck was an eyebrow-raising oddity, and ‘edible’ poultry was limited to chicken and turkey, Wielkopolska has long liked its kaczka. Traditionally served roasted with cabbage, apples, and dumplings, duck has recently also founds its way into pierogi and even burgers. Try it here: Ratuszova, Bazar 1838, Pretekst, Charlie’s, Wiejskie Jadło, Oberża Pod Dzwonkiem, Hyćka; duck pierogi at Ratuszova, Pretekst, and Kuchnia Wandy. Grey - the #1 least appetising colour. Unfortunately, that’s just the hue raw potatoes turn after you shred them, a necessary first step in the making of these popular but uninspired dumplings. After shredding, the potatoes are mixed with egg and flour and cooked to lumpy perfection. 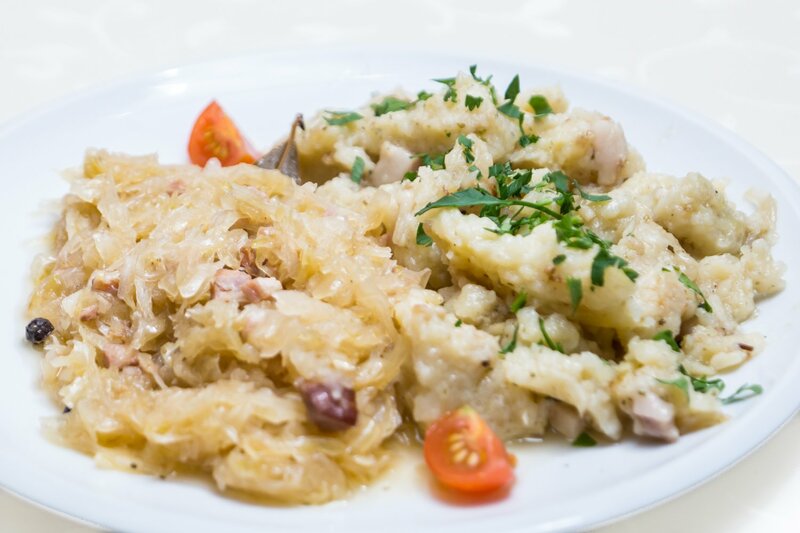 Traditionally accompanied by sauerkraut, szare kluchy aren’t exactly a fashionable dish anymore, though we’d love to see a more glammed-up version one day. Try them here: Bamberka and Hyćka. A bit grisly, this mixture of clear broth and duck’s blood with a handful of noodles is commonly said to taste better than it looks, though you be the judge - we’re keeping mum. Perfect for Halloween and beyond. Try it here: Pretekst, Bamberka, and Hyćka. St. Martin’s Day, a Poznań obsession, calls for a very specific treat to honour the saint, and that’s 'rogale świętomarcińskie'. Filled with a poppy seed and almond paste and topped with a healthy pile of sugary glaze, these croissant-like pastries apparently date back to the 19th century. 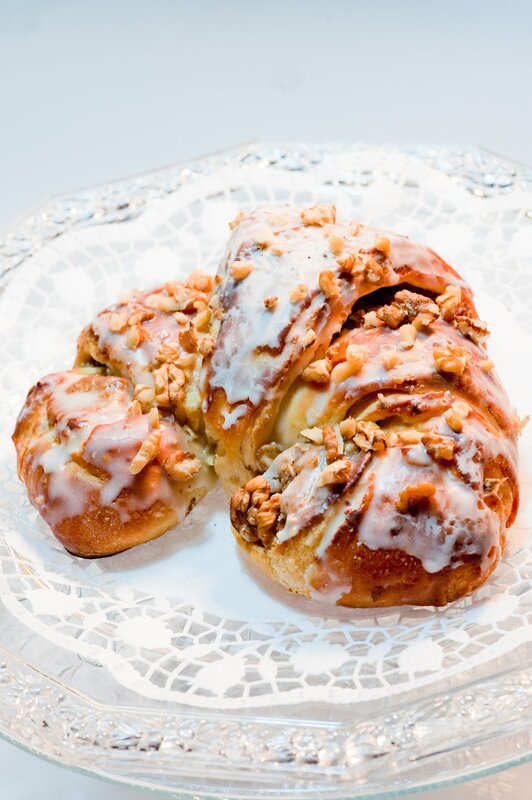 If you believe local legend, their inventor was a baker by the name of Józef Melzer, who prayed to St. Martin for pastry ideas to honour the saint’s holiday, and was inspired when seeing a horse slip a shoe in the St. Martin’s Day parade. Try them here: pretty much any bakery, but mostly in November. 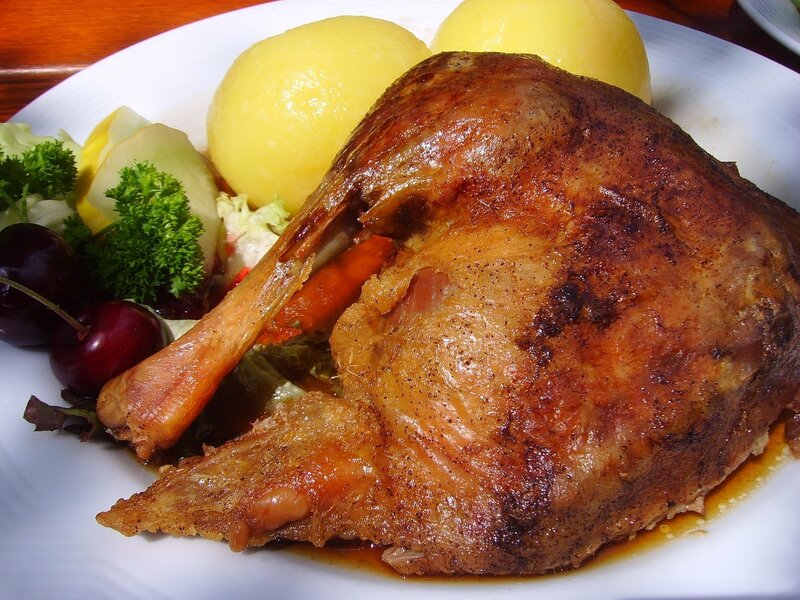 Goose is not a staple of Wielkopolska cuisine, nor is it really a regional specialty, but it does make a dramatic appearance each year around St. Martin’s Day. 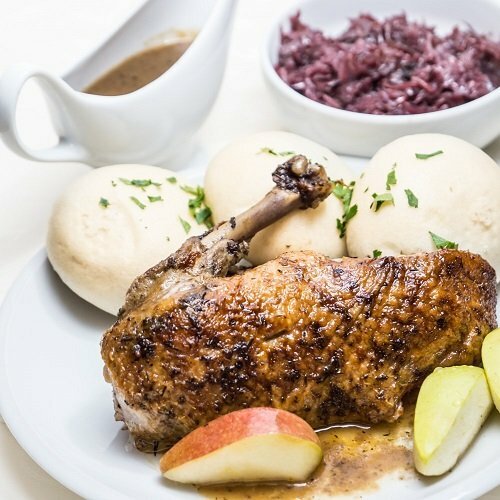 For ten years now Poznań has held an official ‘Goose for St. Martin’s Day’ food festival, with participating restaurants serving goose dishes for an entire month beginning from the Friday before St. Martin's Day (Nov. 11). Try it here: participating restaurants include Avocado, Cucina 88, and Hyćka; also available at Flavoria, The Time, and Kuchnia Wandy. A local rendition of elderflower cordial, not a popular drink elsewhere in Poland. 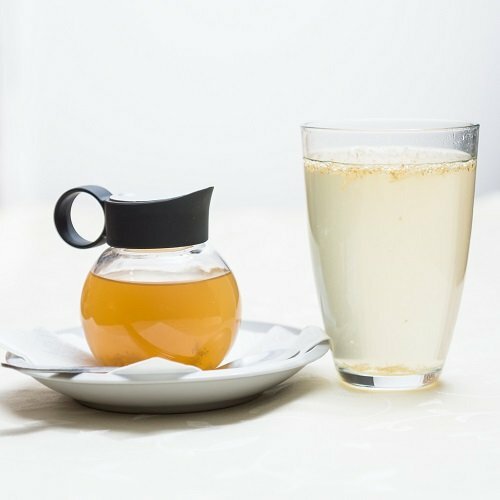 The recipe is simple: elderflower, sugar, and water, resulting in a sweet, vitamin-rich concoction. Try it here: where else? - Hyćka.